This is the day for which the gamers were looking for. Today Battlefield 5 Early Access has been launched for Origin access subscribers. Battlefield 5 yesterday tweeted "Prepare for war! 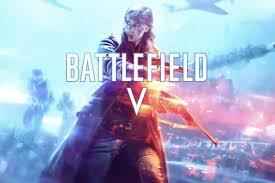 Origin Access subscribers get to play #Battlefield V TOMORROW. Subscribe today and deploy as one of the first tomorrow, with plenty of Deluxe Edition perks, including Paratrooper soldier sets, unique emblems, and more".